As the leadership of the US bishops entered the Papal Apartment for their first crisis talks with the Pope, the storm of these weeks broke out on yet another front: at Roman Noon this Thursday, the Pope accepted the resignation of Bishop Michael Bransfield of Wheeling-Charleston five days after the West Virginia prelate turned 75, sending in Archbishop William Lori of Baltimore "to conduct an investigation into allegations of sexual harassment of adults" by the now-retired cleric. Though the Vatican did not disclose the rationale behind the move in its announcement, Lori revealed the context in a subsequent statement, saying he was "instructed" to do so by the Holy See. "I pledge to conduct a thorough investigation in search of the truth into the troubling allegations against Bishop Bransfield," the archbishop said, "and to work closely with the clergy, religious and lay leaders of the diocese until the appointment of a new bishop." 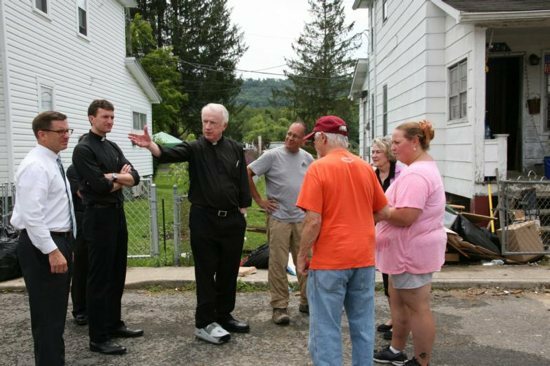 Having already made the trip to West Virginia's statewide church, the Baltimore prelate will spend the next two days gathering preliminary information in Wheeling. Lori's first public appearance isn't slated until Saturday night, when he'll celebrate the diocese's locally televised 6pm Vigil Mass in St Joseph's Cathedral. 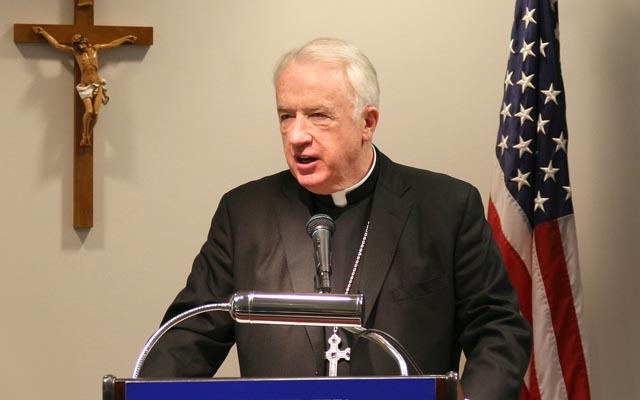 The first US prelate to leave office over public reports of misconduct with adults since 2012 – when the Los Angeles auxiliary Gabino Zavala resigned on admitting to being the father of two young children – the claims against Bransfield have not been openly specified. Together with this morning's announcement, the Wheeling Chancery opened a hotline to receive new allegations or tips for the coming probe. Unusually for a departing prelate, Bransfield issued no statement today – whether the silence was upon his own wishes or Rome's orders is unclear. Nonetheless, the strikingly quick process on the Vatican's side – according to Whispers ops, roughly a month in the making – indicates that the allegations have been deemed sufficiently credible to warrant the bishop's removal. Long known as one of the American hierarchy's top financiers (and, accordingly, a prior USCCB Treasurer), Bransfield – a Philadelphia native – first came to prominence over his two decades as rector of Washington's Basilica of the National Shrine of the Immaculate Conception, transforming the nation's largest church into one of American Catholicism's most prominent worship-sites. Over his tenure at the helm of the West Virginia fold, the accused prelate often made news for his use of the diocese's ample reserves to fund initiatives for health-care and education, as well as relief efforts, across one of the nation's poorest states, which has become one of the hardest-hit venues of the ongoing opioid epidemic. From his DC days, meanwhile, the bishop was a close collaborator of now-Archbishop Theodore McCarrick, choosing the then-cardinal as one of his two lead co-consecrators at his 2005 ordination, then becoming a key player alongside McCarrick in the work of the Papal Foundation – the private US-based trust to support the Pope's works of charity around the world – which has come under added scrutiny in the wake of the Washington prelate's seismic downfall over abuse allegations involving minors and adults alike.